These old fashioned orange cake recipes make healthy cakes that are full flavored and delicious without the need for frosting, though frosting can be added if you prefer. The fresh taste orange in these deliciously moist cakes is what sets them apart. 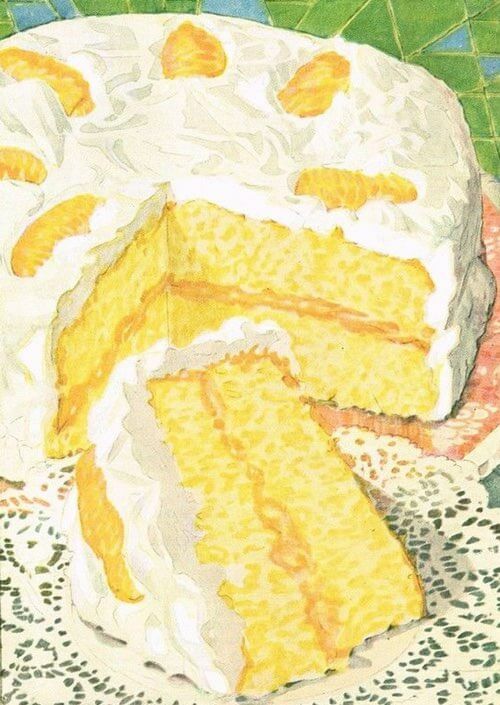 Mom always said that a slice of orange cake went well with a good cup of tea. Try one of these homemade orange cakes and see for yourself. Cream shortening, brown sugar, and egg. Add nuts, raisins, and blend. Add sifted dry ingredients with sour milk, beat briskly. Pour in 8x12-inch pan lined with waxed paper and bake at 350°F for 35-40 minutes, or until done. While warm, brush with this mixture: 1/3 cup orange juice, 1 tablespoon grated lemon rind, 1/4 cup white sugar. Cream shortening, add the sugar gradually, blending thoroughly. Add eggs beaten until very light, grated rind and juice. Add the mixed and sifted dry ingredients alternately with water. Bake in a greased and floured pan about 20 to 25 minutes in moderate oven (350°F to 375°F). Just before removing from the oven the top may be spread with 1/2 cup granulated sugar mixed with 1/4 cup orange juice. 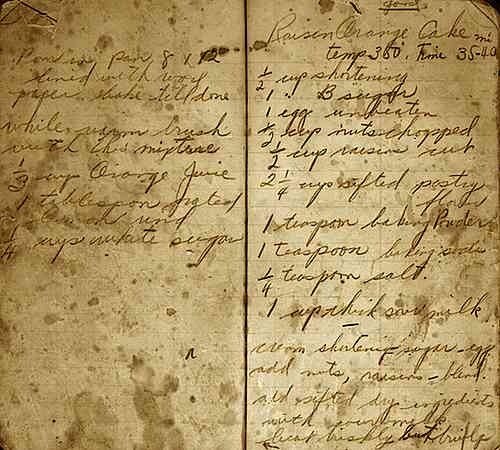 One egg, 1/2 cup shortening, 1 cup brown sugar, 1 cup sour milk, 1/2 cup dates cut fine, 1/2 cup raisins cut fine, grated rind of 1 orange, 1 small teaspoon baking soda, 1 teaspoon baking powder, 2 cups flour. Mix and bake in moderate oven. Juice of 1 orange and 1/2 cup white sugar poured over the cake about 5 minutes after it is taken from the oven. —Mrs. W. Thompson. Put the eggs and sugar into a large bowl and beat for 10 minutes. Add the rind of the orange grated. Sift in the flour and baking powder. Pour in the milk and mix all together. Butter a cake tin and bake in a moderate oven for 1/2 hour. Use the juice of the orange for the icing. Bake in two greased 9-inch layer pans in moderate oven (375°F) 30 minutes. 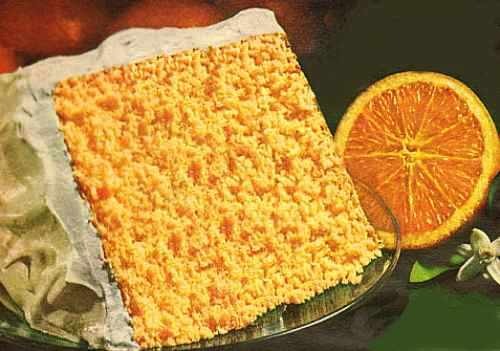 Spread Orange Filling between layers and cover with a boiled frosting. 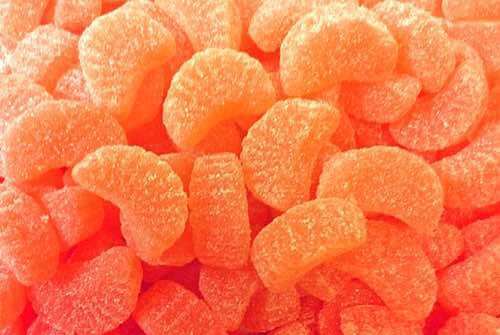 Decorate with candied orange peel or fresh orange sections. Double recipe to make three 10-inch layers. Mix ingredients in order given. Cook in double boiler 10 minutes, stirring constantly. Cool before spreading. Makes filling for two layers. 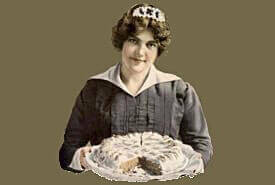 The following is a prize-winning orange cake recipe by Mrs. F. Kelcey. Put through food chopper: 1 orange (1/2 cupful), 1 banana (1/4 cupful), 1 cup raisins. Cream well 1/2 cup butter. Blend in 1 cup sugar. Beat well and add 2 eggs. Sift and measure 2 cups pastry flour and sift again with 1/8 teaspoon salt and 3/4 teaspoon baking soda. Add 1/4 flour mixture to butter mixture. Add the fruit. Then add remainder of dry ingredients alternately with 1/2 cup sour milk. Beat in 1/2 teaspoon vanilla flavoring. Turn into cake pan and bake in a moderate oven (350°F). 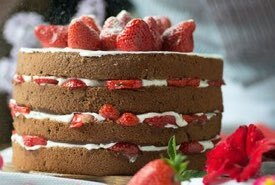 When cake begins to draw away from sides of pan, and slight finger pressure in the center of cake leaves no permanent mark, remove from oven. Turn cake out gently, and cool in a place free from draught. Frost with Mocha Icing Recipe below. Cream very light 2 tablespoons butter. Blend in well 2 tablespoons sifted icing sugar. Gradually add 2 tablespoons of hot strong coffee. Sift together and add gradually 1 teaspoon cocoa powder with 1 cup, or more, icing sugar. Cream butter and sugar, add eggs one at a time and beat, then add flour, salt, buttermilk, and soda, and continue beating. Then, add 1 8-ounce package of pitted dates, 1-1/2 cups pecans, 1 cup coconut, 1 pound orange slice candy cut into small pieces (coat the orange slices well with 1/2 cup flour). Bake slow in greased bunt pan until done (250°F for about 2-1/2 hours). Glaze while still hot with 1/2 cup orange juice and 2 cups powdered sugar, and pour over cake. 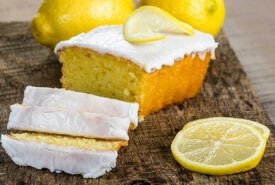 Orange cakes are unique in that you can simply drizzle freshly squeezed orange juice over them for a healthy topping that's refreshingly delicious. Nothing could be easier. But, if you're a big fan of cake icing, you can ice your orange cakes too, and they will still taste and look extra special. It's your choice.